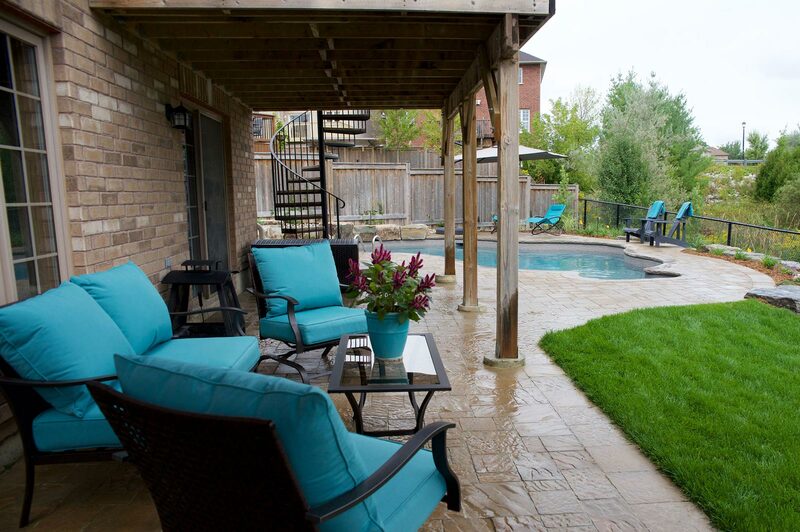 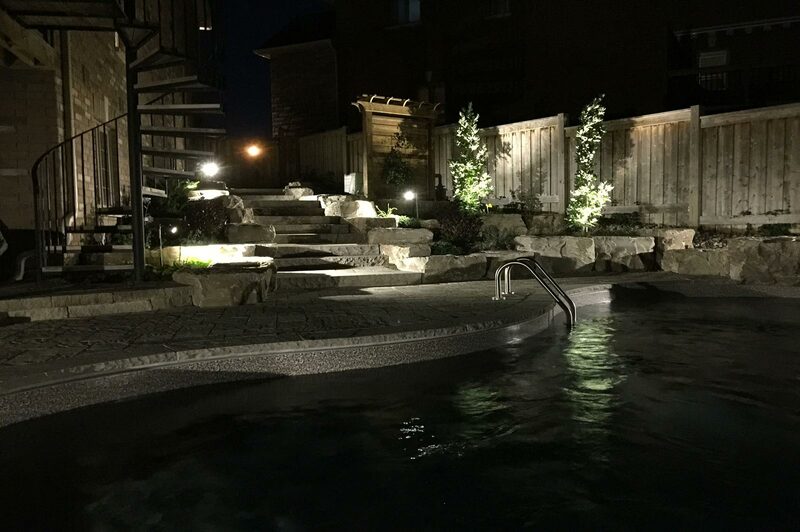 For this project, Ajoi Landscape Design was brought on install a pool and to incorporate it into a design for a comfortable and private backyard living space. 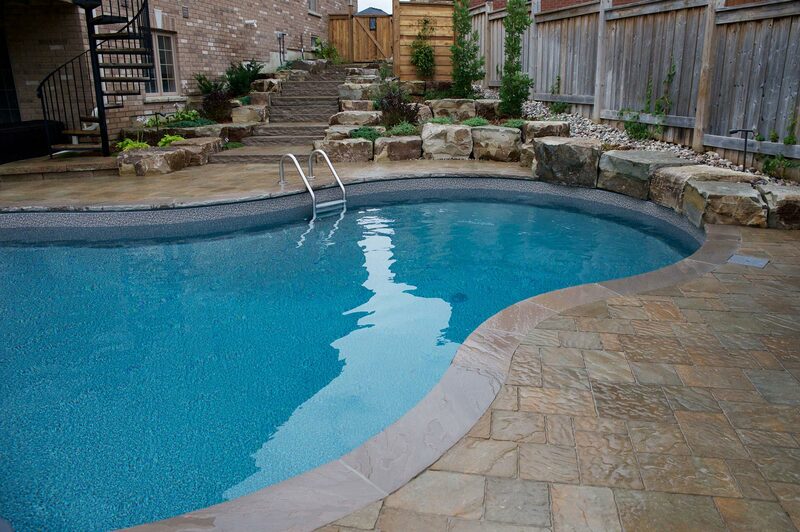 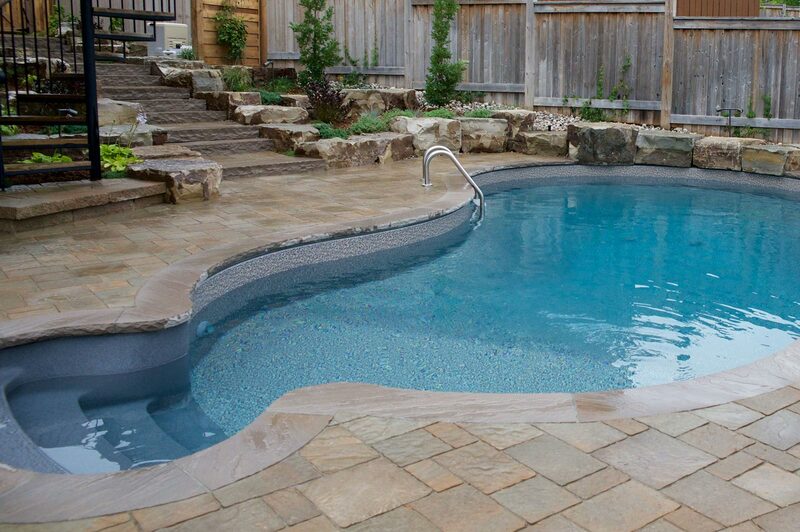 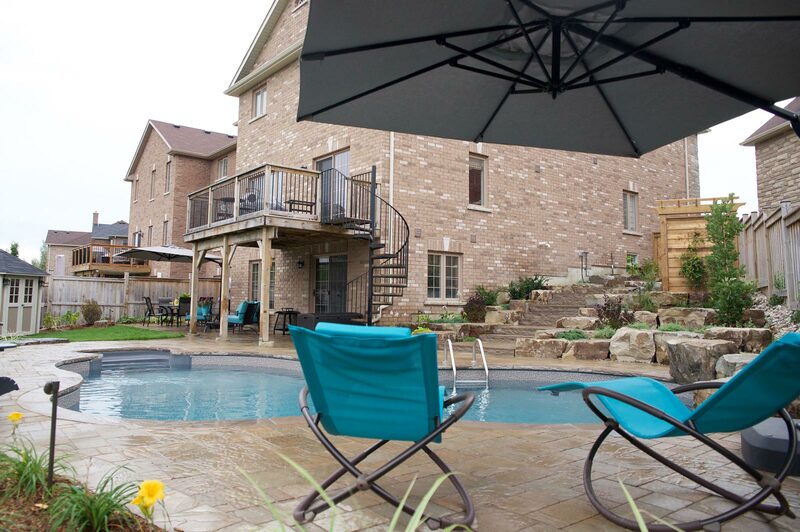 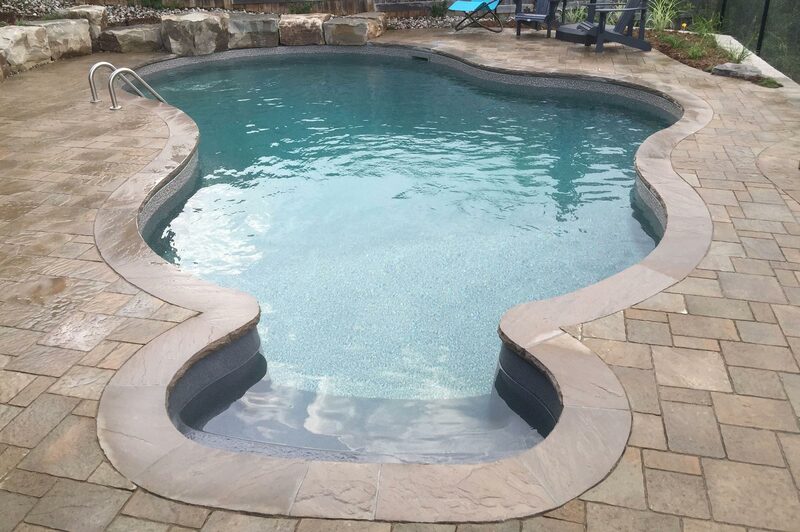 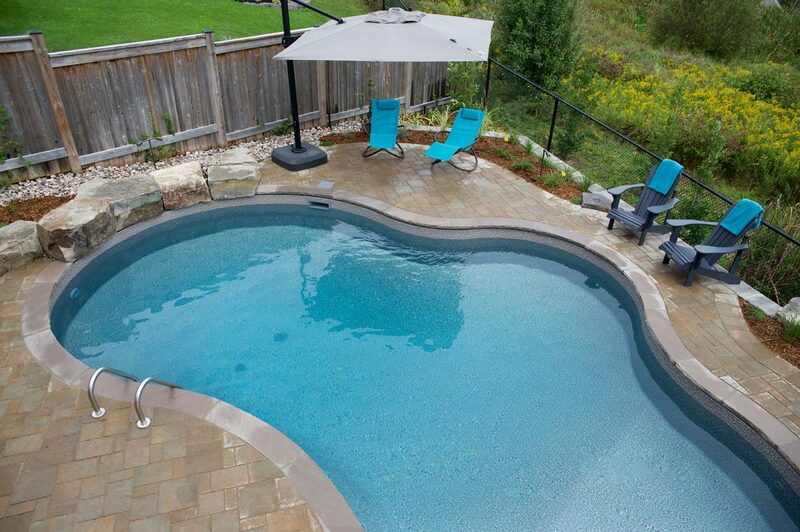 The vinyl pool, the prominent feature of this landscape, was lined with natural stone coping. 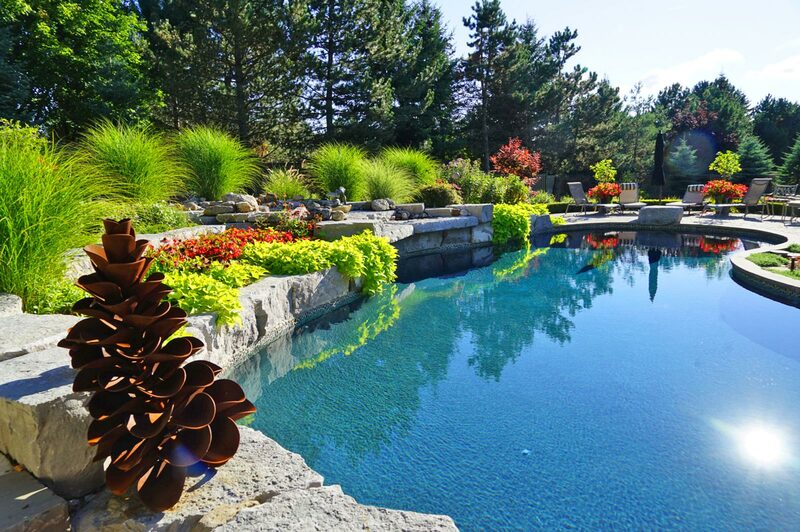 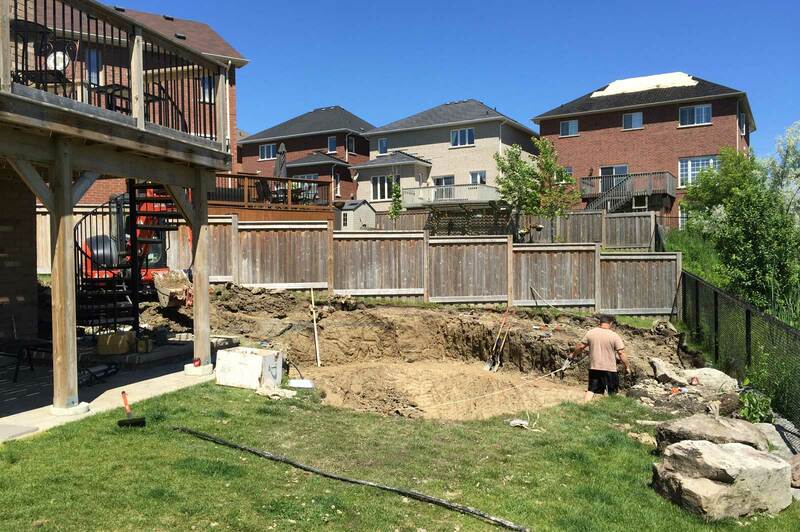 Ajoi Landscape Design creatively dealt with the challenge of the landscape’s existing grade by constructing an armour stone retaining wall on the backside of the pool. 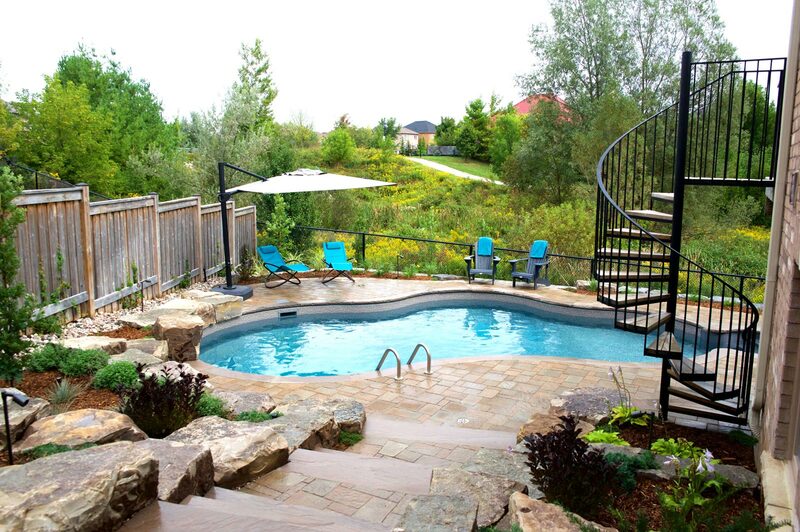 Natural ledgerock steps and a spiral staircase lead to this new, unique lounge area. 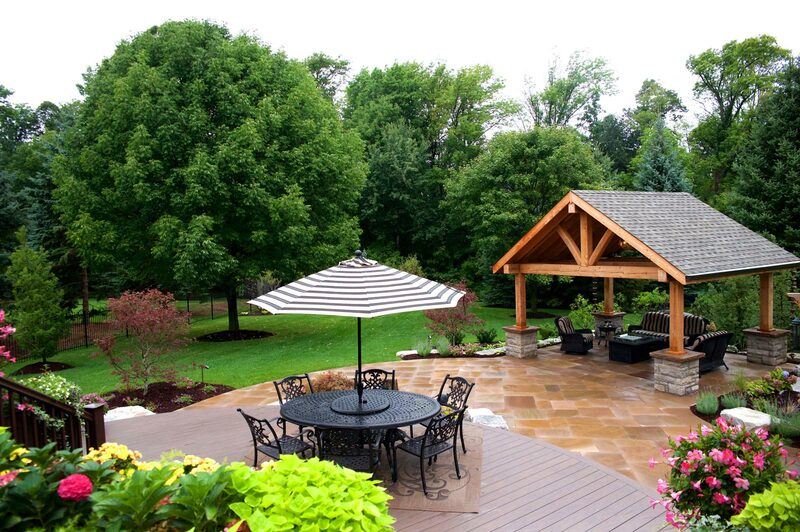 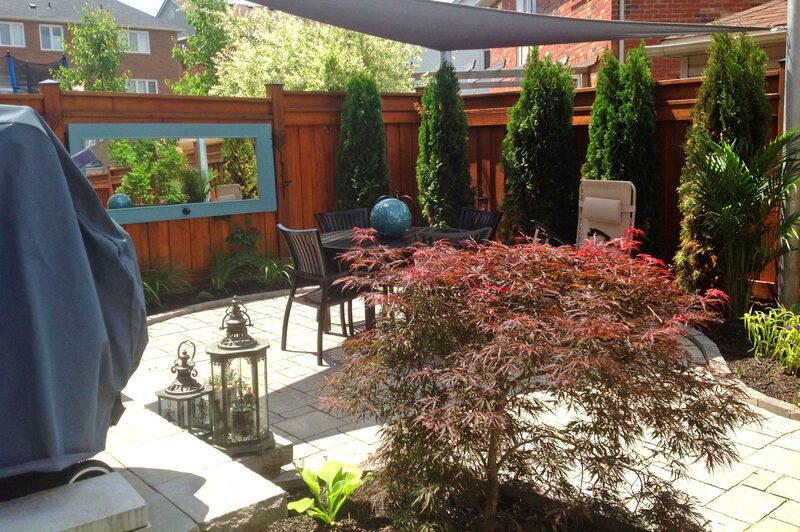 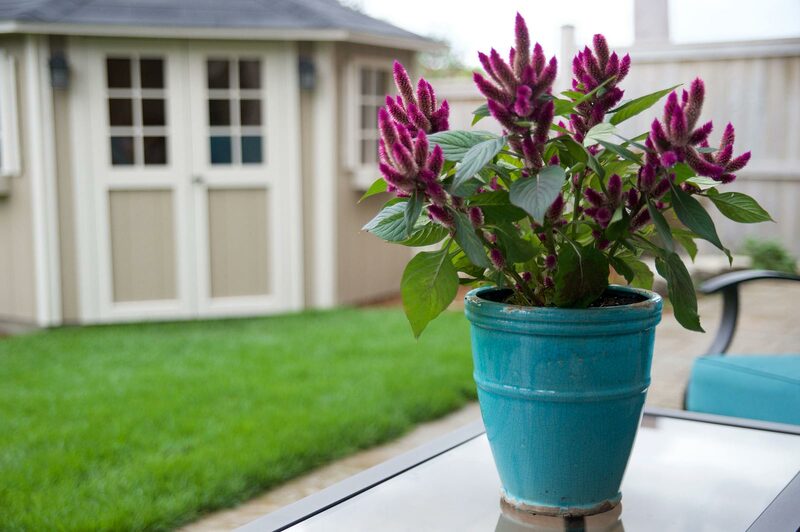 A custom wood privacy screen was constructed to give a more intimate feel to the setting. 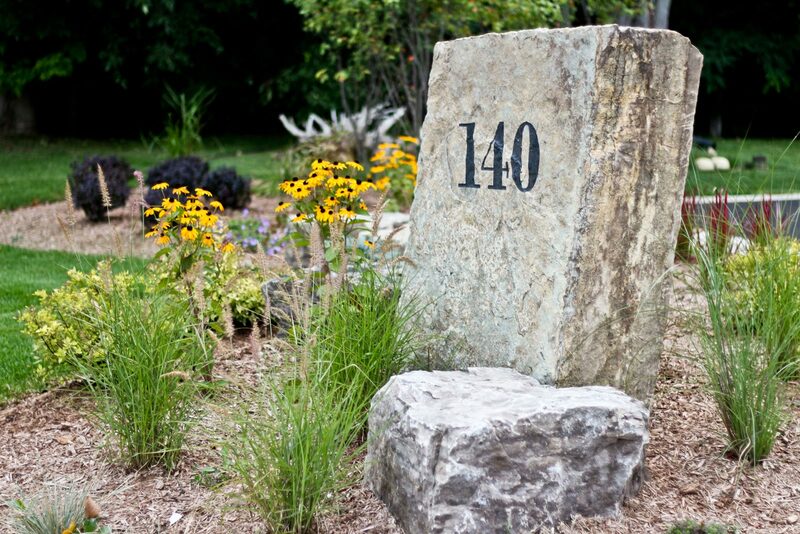 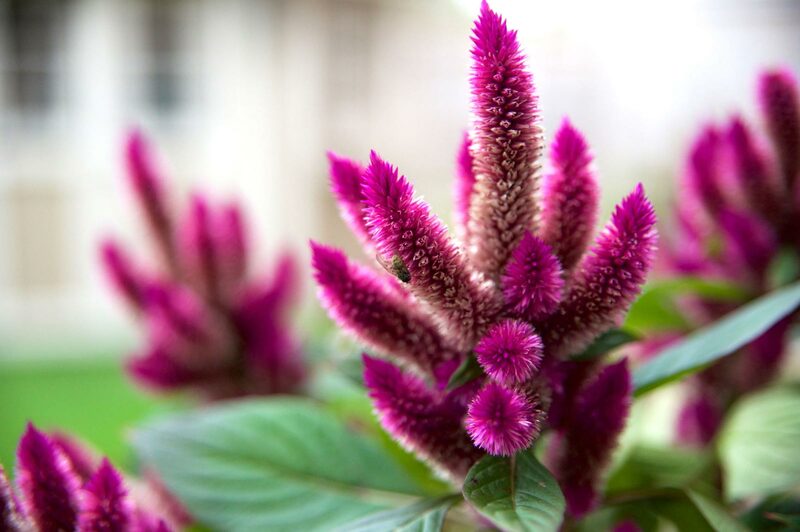 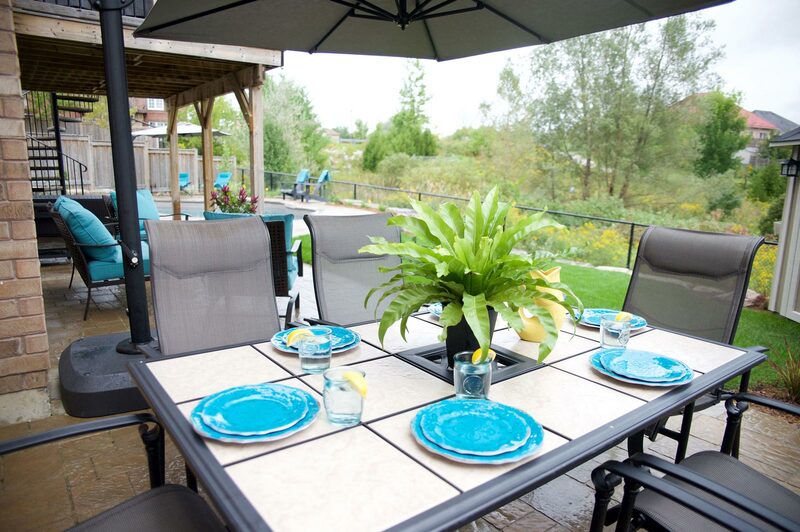 Green space was neatly organized into the concept with the introduction of gardens planted with seasonal flowers, shrubs and grasses, as well as a seamless transition to a grassy lawn area. 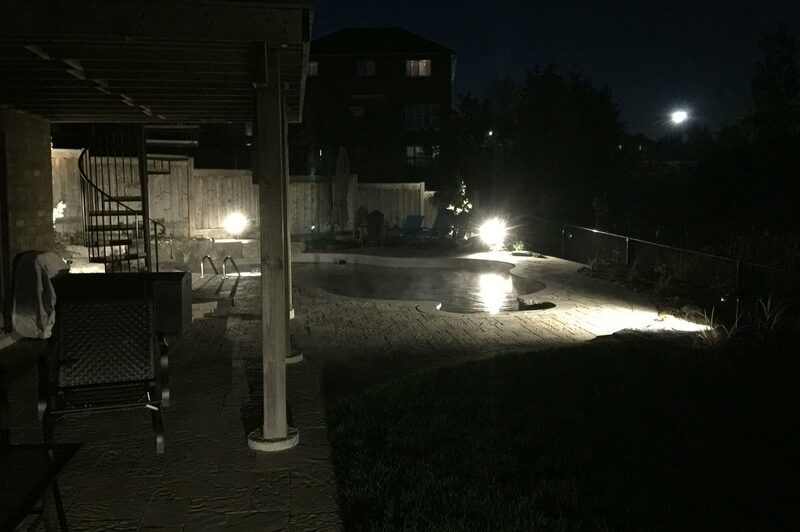 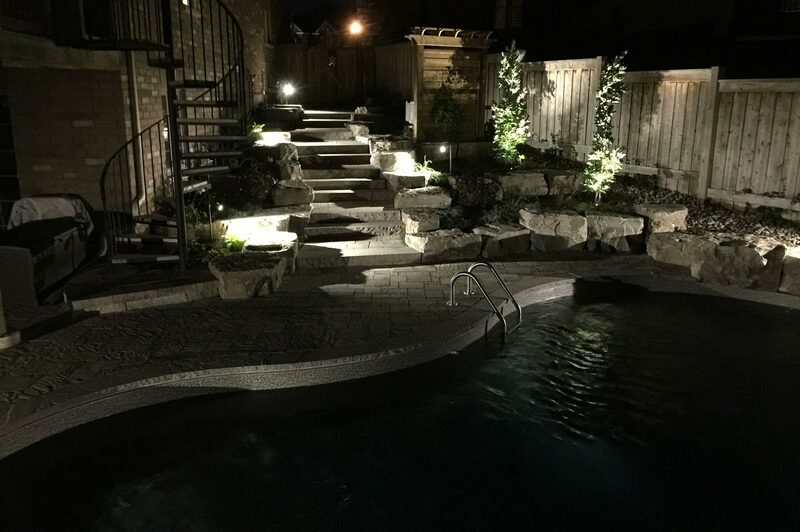 For the final touch, landscape lighting is incorporated into the design to accent the new landscape features in the evening, as well as to extend the useable hours of this beautiful and contemporary backyard.